Americana continues to provide one of the most nourishing genres for both established and up-and-coming artists, as evidenced by a slew of new highly-recommended albums. Tell me more: The good news for fans of actor Kiefer Sutherland is that his new debut album Down In A Hole is a solid and highly-recommended artistic effort that blends Americana, folk rock and alt-country styles with style and substance. The sparse acoustic ballad "I'll Do Anything" and piano-and-guitar blending "Calling Out Your Name" display the artist at his most confessional, but other tracks also highlight the 49-year-old Sutherland's knack for constructing top-tier songs while mining real life experiences tackling life's highs and lows. The rocking "Can't Stay Away," infectious "Going Home," sweeping "Calling Out Your Name" and Johnny Cash-styled "Shirley Jean" are among the other standout originals (co-written by Sutherland and producer Jude Cole) on the disc. Sutherland has an easy-on-the-ears raspy baritone and sings with honesty that recalls the delivery of a young Bob Dylan or Merle Haggard. Information: kiefersutherland.com. Tell me more: As a member of the Fallen Stars, Bobbo Byrnes has long proven himself as a key voice on the international Americana scene. 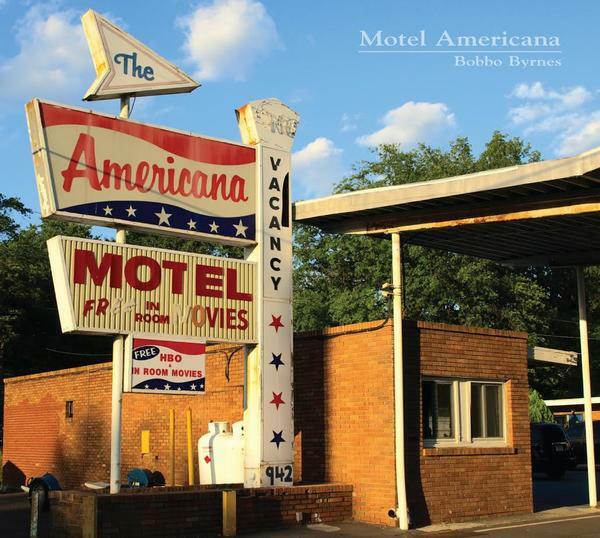 On his new solo album Motel Americana, the singer-songwriter and multi-instrumentalist continues to successfully explore roots rock and alt-country, focusing on the slightly quieter and more nuanced regions of Americana. The songs bask in a sonic glow that fuses his own voice with those of singers Tracy Byrnes and Ben Riddle and a wide range of acoustic and electric instruments (Bobbo himself handles guitar, bass, mandolin, pedal steel, dobro and more!). The infectious mandolin-anchored "APB," shimmering "I May Never Know" (love the B3 work courtesy of Rami Jaffee on this one) and confessional "Hate This Town" are among the terrific songs on the dozen-song set. Information: songsandwhispers.com or bobbo.org. Tell me more: Bigger isn't always better. The Nashville-based trio known as the Coal Men offers up plenty of magic via beautiful songs that are beautifully rendered by singer-guitarist-mandolin player Dave Coleman, drummer-vocalist Dave Ray and bassist Paul Slivka. The trio (aided by special guest keyboardist Seth Timbs) across Pushed To The Side. There are upbeat songs on the 12-song album (the driving "Fast Rider" and honky tonk delight "Speeding Like a Demon" for sure), but the majority of originals here thrive via sparse and relatively quiet presentations centered on artful arrangements; the lovely "Depreciate," introspective "Pushed to the Side," ethereal "Travis" and melodic "Stones River" benefit from quiet sonics and lyrics immersed in tangible emotion and honest stories. Information: TheCoalMen.com. Tell me more: Making music that is so potent the listener feels as if they can touch it sums up the sound and approach of Americana duo Hymn for Her. Lucy Tight and Wayne Waxing's latest album Drive Til U Die crackles with fire on countrified alt rockers (the blistering "Devil's Train," the psychedelic "Milkweed") and captures a lust for life even on the ballads (the pretty "Mazzy Star" and acoustic "Seas of Croatia"). Writing about what you know is almost always the best advice for indie artists, and because Hymn for Her live on the road (the duo call a 1961-vintage Bambi Airstream towed by a Ford van home) there is an authenticity about their blend of blues, alt-country, rock and folk that is infectious. The aforementioned "Seas of Croatia," rousing "Hi Ho Silver" (written about the challenges of hitching and unhitching their home on wheels), lovely "Acetylene" and disc-ending bluesy rocker "The Road Song" provide an inspired glimpse into the lives of the original Hymn for Her. Information: HymnforHer.com. Tell me more: On her latest album Somewhere Else, Los Angeles singer-songwriter Lauren Adams mixes the sounds of modern-day Americana, '70s soft rock, blues and authentic roots music in the service of original material. Adams has a straightforward style of songwriting that benefits from her nice soprano voice as well as a number of guest players and a solid line-up of players who bring richness to the wide range of material. One of Adams' greatest strengths comes in that each song is its own little slice of life, with a sparse ballad ("Heavy, Heavy Heart"), intimate folk rocker ("Miss You") or playful country rocker "We Try Harder" each taking the listener to a very different place. The album closes with a powerful reworking of John Anderson's "Seminole Wind," a powerful roots rocker that is bolstered by vocal harmonies, Nick Kirgo's electric guitar work and a strong Native American-minded environmental message delivered by Adams with emotional force. Information: LaurenAdams.com. Eagle Rock Entertainment continues to release exciting music releases covering a wide range of artists and genres. Here is news on an upcoming DVD/Digital Formats release featuring Bryan Adams' when he performed at Wembley Stadium in 1996. On October 14, 2016, Eagle Rock Entertainment will release Wembley 1996 Live by Bryan Adams on DVD and Digital [MSRP $15.98]. This is the first ever DVD release of this famous Bryan Adams show and it is of course packed with classic tracks including: “Summer Of ’69”, “(Everything I Do) I Do It For You”, “Can’t Stop This Thing We Started”, “The Only Thing That Looks Good On Me Is You”, “It’s Only Love”, “Run To You”, “Kids Wanna Rock,” “18 ‘Til I Die”, “All For Love”, “Heaven”, “Have You Ever Really Loved A Woman” and many more! The storming rendition of “It’s Only Love” features Melissa Etheridge as a special guest. It was July 27th, 1996 and a sell-out crowd in excess of 70,000 welcomed Bryan Adams to Wembley Stadium on his 18 ‘Til I Die Tour in support of the multi-platinum album of the same name. 18 ‘Til I Die had been released a few weeks earlier and hit the No.1 spot on the UK Albums Chart and gone Top 5 right around Europe. The show opened with the album’s first hit single “The Only Thing That Looks Good On Me Is You” and immediately the stage was set for an energetic, hit packed performance which was received with wild enthusiasm by the huge crowd. 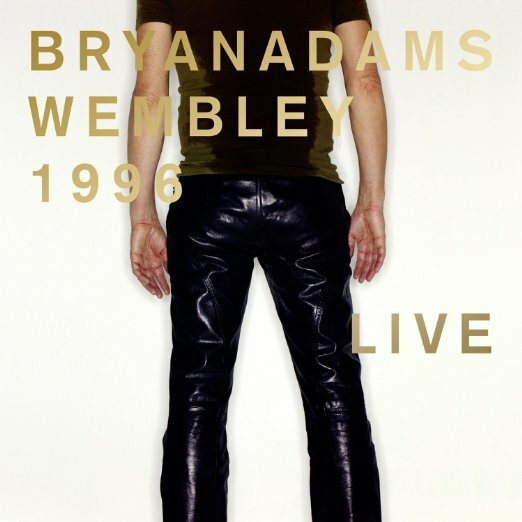 Wembley 1996 Live is a legendary show for Bryan Adams fans, finally being released on DVD for the first time. With Bryan Adams touring in the US and Canada this September, there is no better time to reconnect with this fantastic performer. See www.bryanadams.com for more details regarding tour dates. This media release will be of definite interest to fans of classic rock...There is a bit more information about the band and touring information than my earlier post today. 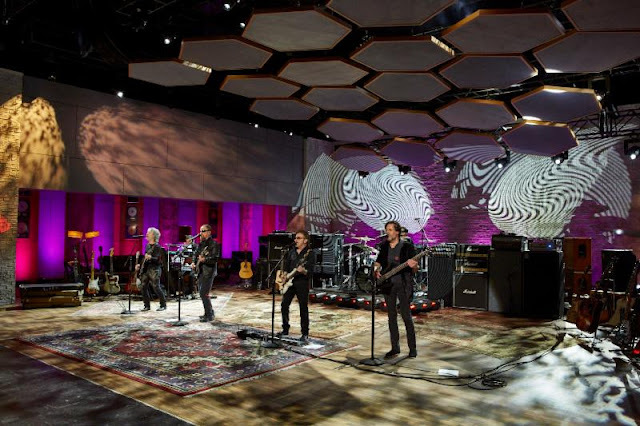 Blue Öyster Cult performs on AUDIENCE Network at Red Studios. Photo credit: Aaron Farley, AT&T and AUDIENCE Network. Tune in to the AUDIENCE Network concert special "BLUE ÖYSTER CULT"airing Friday, September 2, at 9 p.m. ET/PT (DIRECTV Ch 239/U-verse Ch 1114). The classic rock band stopped by Red Studios in Los Angeles to perform their seminal album Agents Of Fortune in it's entirety live. In the episode, the group sits down with Ted Stryker for an in depth interview spanning their history. For a preview of the AUDIENCE Network concert special "BLUE ÖYSTER CULT," watch an exclusive "First Look" as the band performs their classic hit"(Don't Fear) The Reaper" on ULTIMATE CLASSIC ROCK (here)..
View the trailer for "BLUE ÖYSTER CULT" airing Friday, September 2, at 9 p.m. ET/PT on AUDIENCE Network, DIRECTV Ch 239/U-verse Ch 1114(here). Watch and share behind-the-scenes clips of the episode (here) and(here). AUDIENCE Network's multiple series of original and exclusive performances give music fans an intimate view of music's most influential artists today. The network collaborates directly with musicians to create a unique show from their perspective. For over four decades, BLUE ÖYSTER CULT has been thrilling fans of intelligent hard rock worldwide with powerful albums loaded with classic songs. Indeed, the Long Island, NY-­based band is revered within the hard rock and heavy metal scene for its pioneering work. BLUE ÖYSTER CULToccupies a unique place in rock history because it's one of very few hard rock/heavy metal bands to earn both genuine mainstream critical acclaim as well as commercial success. The band is often cited as a major influence by other acts such as Metallica, and BÖC was listed in VH1's countdown of the greatest hard rock bands of all time. Upon the release of BÖC's self-­-titled debut album in 1972, the band was praised for its catchy-­-yet-­-heavy music and lyrics that could be provocative, terrifying, funny or ambiguous, often all in the same song. BÖC's canon includes three stone-­-cold classic songs that will waft through the cosmos long after the sun has burned out: The truly haunting "(Don't Fear) The Reaper" from 1976's Agents of Fortune, the pummeling "Godzilla" from 1977's Spectres and the hypnotically melodic "Burnin' for You" from 1981'sFire of Unknown Origin. The intense creative vision of BÖC's original core duo of vocalist/lead guitarist Donald "Buck Dharma" Roeser, and vocalist/rhythm guitarist Eric Bloom are complemented by Richie Castellano on guitar and keyboards, and the longtime rhythm section of bass guitarist Kasim Sulton, and drummer Jules Radino. For the taping of this special performance, they are joined by former member Albert Bouchard (guitar, percussion, vocals). For more information on BLUE ÖYSTER CULT, visit: http://www.blueoystercult.com/, and Facebook: https://www.facebook.com/blueoystercult/.